When John Fergusson, of Maybole, was 15, he wanted to go to sea on a fishing boat. 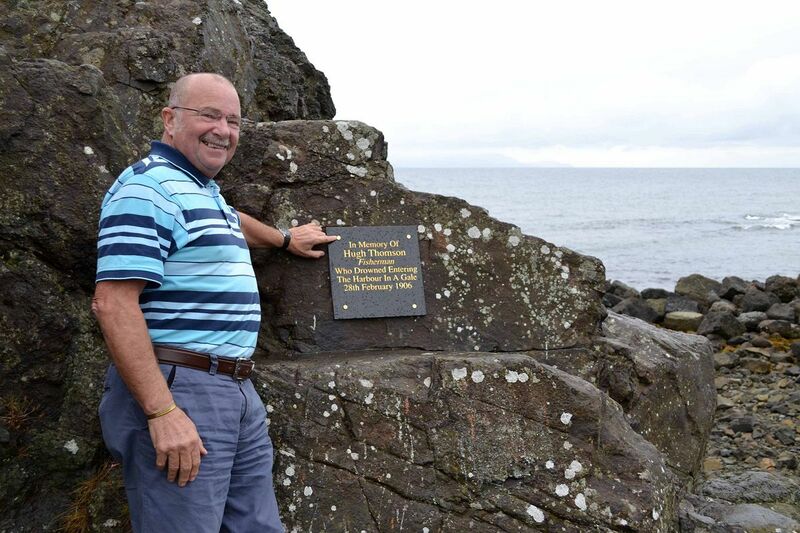 However, John said, “My mother would not let me go because her grandfather was drowned coming into Dunure harbour. Six years later when I was married I went to sea.” He continued, “Last month, at a meeting of Maybole Historical Society, Roy Storrie gave a talk on Dunure Harbour and lighthouse. 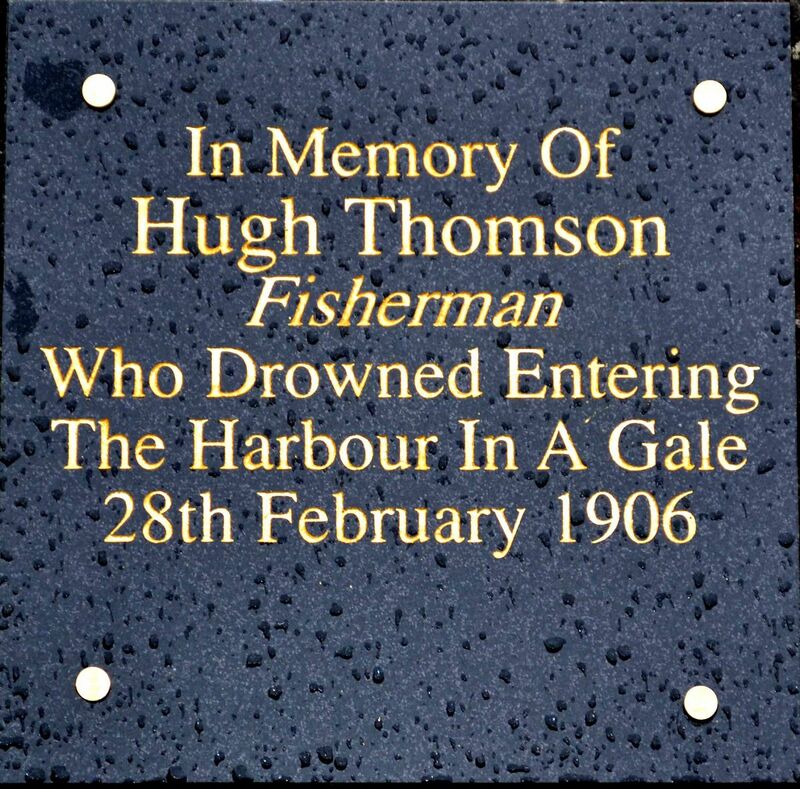 “I asked him about my great grandfather, Hugh Thomson, but he had never heard of anyone drowning in the harbour. Nor did anyone else I spoke to.“This got me wondering if my mother was having me on to stop me going to sea, so I decided to do some research.“I visited the old grave yard at Dunure but could not find a headstone, and there are no records for burials at the cemetery. “I then went to Masonhill but could find nothing there, either, so I headed for Ayr registrar’s office and got the death certificate and a copy of the of the inquest into his death.“The records show that the body of my great grandfather, Hugh Thomson, 74, was found on the sea shore about 300 yards north of Dunure Harbour. 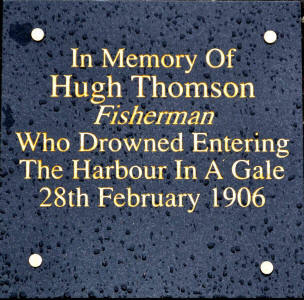 He had been a victim of accidental drowning on February 28, 1906 when his boat sank at the entrance to the harbour.